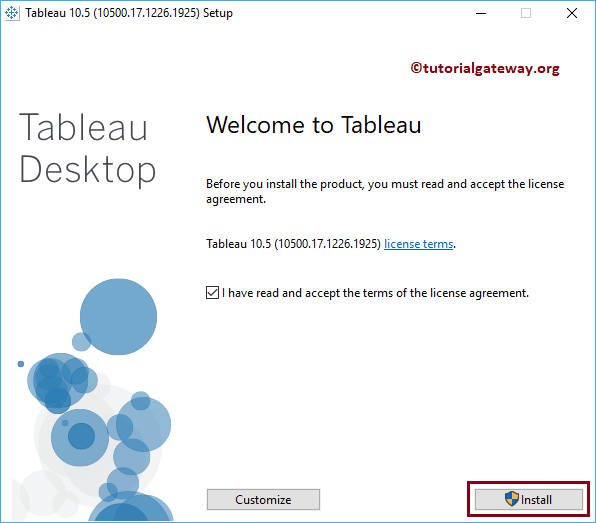 Following are the steps involved in downloading and installing Tableau Desktop. And it will be the same for Mac users also. 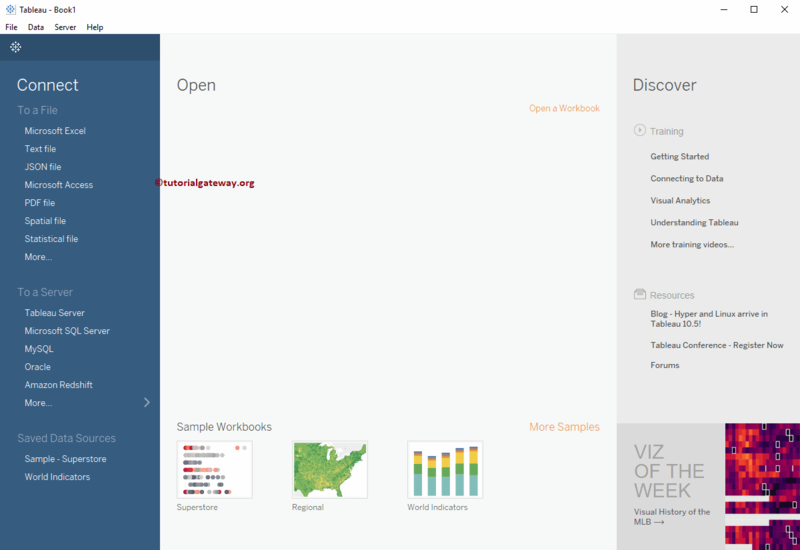 Tableau provides a 14-days trial version of tableau desktop. You can use the same and practice on your own. 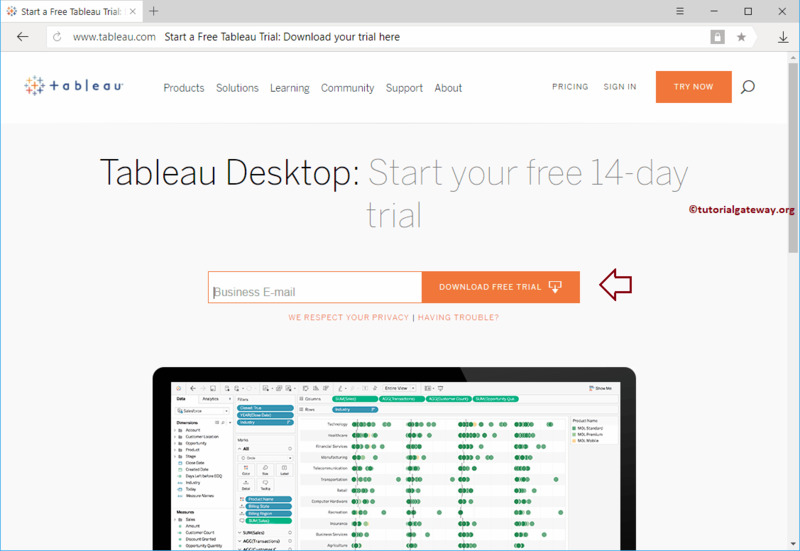 In order to download Tableau Desktop, first Go to the official tableau website by clicking this link Download Link. 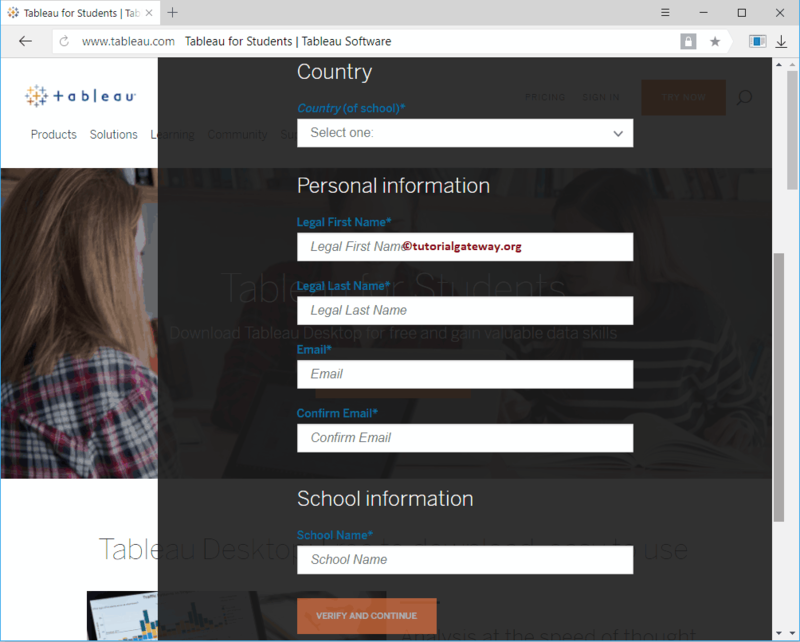 If you are a Student (Holding valid Student ID) then you can download the Tableau for Students. This will be valid for one year. 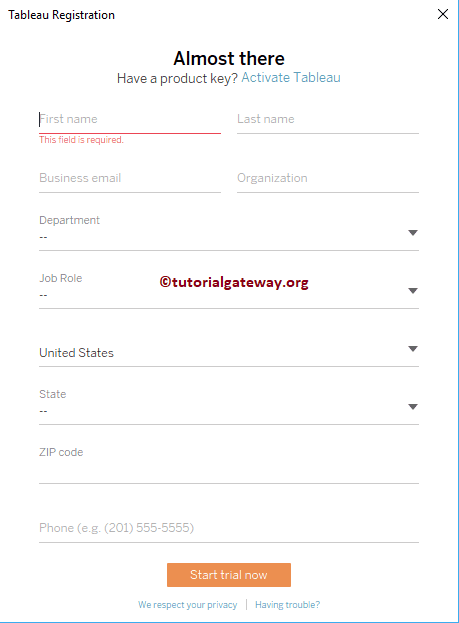 Clicking the Get Tableau For Free button will show you the following form. Please fill your details and then upload your ID card. Next, allow some time for the tableau team to verify your details. Once your ID is verified, the Tableau team will send you the Licence Key, which is valid for One Year. 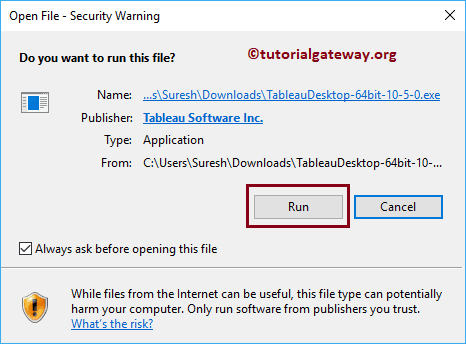 Please navigate your file system to the Tableau Software that we downloaded previously. Next, and click on the application. Wait till the Tableau registration window is opened. Here you have to register your details. 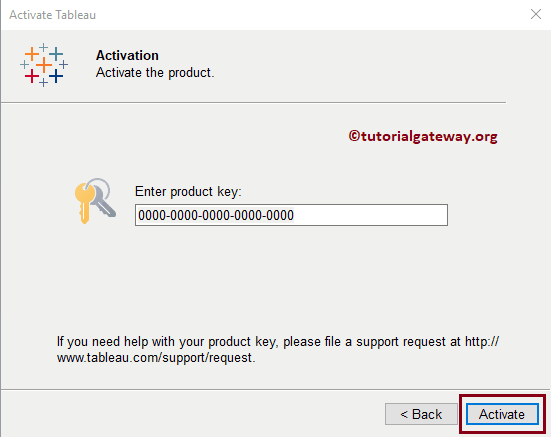 If you have the Tableau Licence Key then click on the Activate Tableau hyperlink from the above screenshot. Click the link will open the following window. Please provide the Licence Key and click Activate.